Big Brother houseguest Christmas Abbott has pleaded not guilty to her criminal mischief charge. Big Brother alum Christmas Abbott has released a statement following her Tuesday arrest on a felony charge of criminal mischief for allegedly ramming her car into the vehicle of her ex-boyfriend's mistress. Big Brother houseguest Christmas Abbott has landed herself in some legal trouble. 'Big Brother' houseguest Christmas Abbott has a baby boy -- What unusual name did she give her son?! Big Brother houseguest Christmas Abbott has welcomed her first child into the world. Big Brother couple Nicole Franzel and Victor Arroyo are thanking fans everywhere for celebrating their engagement with them. 'Big Brother's houseguests Nicole Franzel and Victor Arroyo get engaged! Big Brother's Season 18 houseguests Nicole Franzel and Victor Arroyo are going to get married! 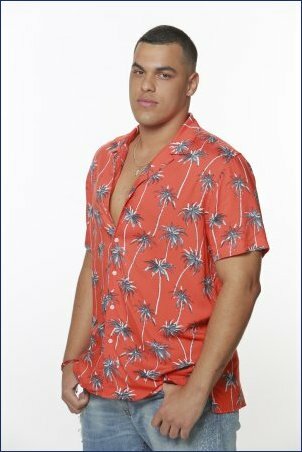 Big Brother featured the week's Head of Household, Kaycee Clark, nominating Haleigh Broucher and Sam Bledsoe for eviction during Sunday night's Season 20 broadcast on CBS. JC Mounduix -- 6 things to know about the houseguest competing on Big Brother's 20th season. Big Brother fans don't have to wait for the Season 20 premiere to meet the newest batch of houseguests! 'The Amazing Race' begins filming Season 31, eleven "reality clash" teams reportedly revealed! The Amazing Race has begun filming Season 31, and the identities of the teams who will be racing have reportedly leaked out.